For Gus' second birthday - we decided to skip a big party and take a little trip up to the north state - Dunsmuir / Mt. Shasta area. It was a lovely trip - very hot - but it was hotter in Sacramento so I guess we still escaped a little bit. 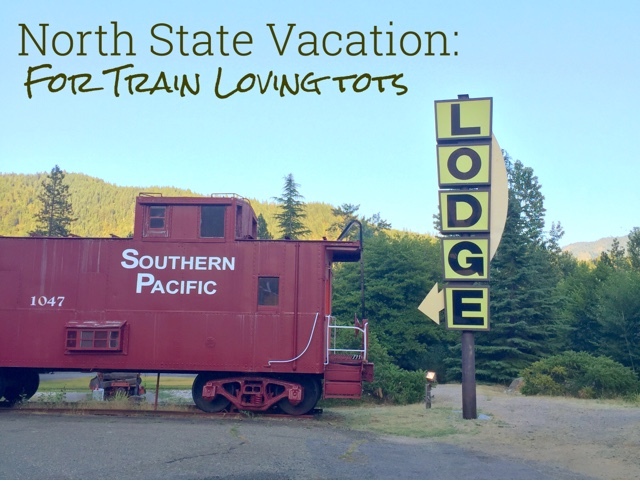 This trip was planned around a little lodge / motel in Dunsmuir that the husband found called Railroad Park Resort. Gus is just OBSESSED with trains and at the Railroad Park you get to stay in your own personal caboose. The hotel has a pool, an amazing view of the Castle Crags, a creek and pond to explore and a super neat restaurant that is inside trains, of course. The kids loved the pool and they were so well behaved at the restaurant where Gus even got a candle in his ice cream for his birthday. While we weren't at the resort - we spent a little time exploring Dunsmuir a really cute little town to check out if you haven't before. 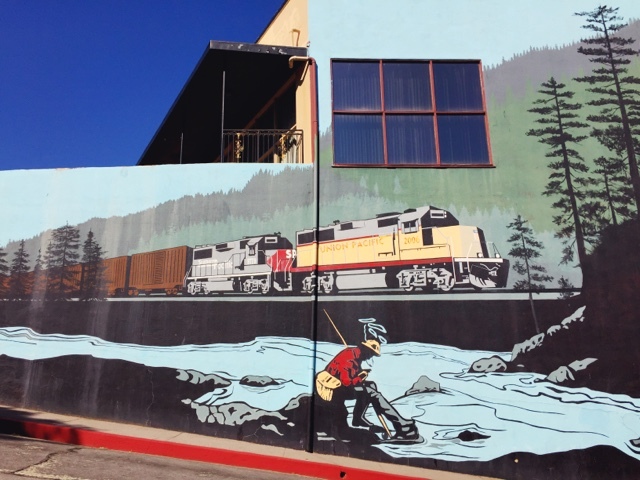 We walked around, found a beautiful train themed mural for Gus to ohh and ahhh at, bought much needed spare water bottles at the Dunsmuir Hardware, found a playground and right across the street - we found Dunsmuir Brewery Works. The Brewery had great beer, good food and amazing service. Our waitress gave us a great recommendation of Lake Siskiyou and Lake Castle. Which we went to the next day. Lake Castle was beautiful - and we went on a nice hike but not good for swimming for the kids. 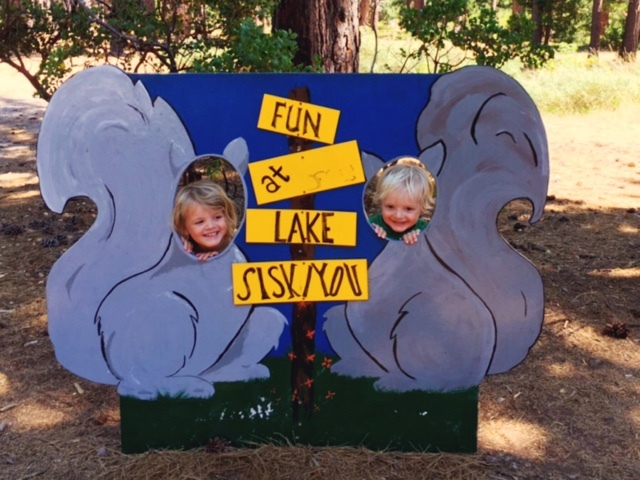 So we went to Lake Siskiyou for beach swimming and lunch. The two places we checked out for breakfast were both great. Seven Suns Coffee & Cafe in Mt. Shasta was delicious and crowded with fun people watching. The Wheel House in Dunsmuir was also great - and it is right at the railroad tracks so we got to see a train go by - another birthday wish for Gus. Lucille and Jonny went for a short hike down to a waterfall that you can walk behind called Hedge Creek Falls. I stayed in the car with a napping Gus. On our way home we stopped at Turtle Bay Exploration Park - which was just great! 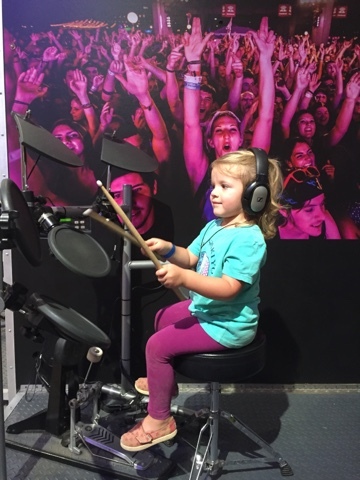 Lucille and I enjoyed an animal show and both Gus and Lucille had a great time at their music exhibit playing the drums especially. It was a great trip. 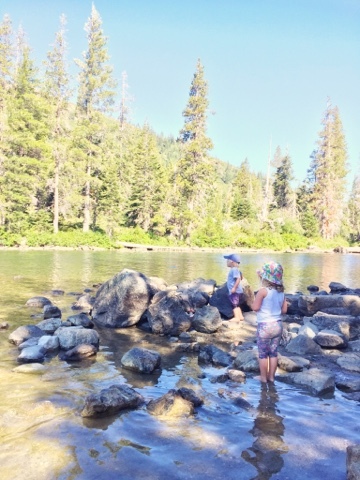 We love exploring northern California and this was a great visit to the unique North State.